Welch concentrates on corporate and securities litigation, including the defense of class and derivative actions, with an emphasis on mergers and acquisitions. In the past three years, Welch has led teams that have defeated challenges to more than $200 billion in corporate deals, according to his firm’s website. He frequently represents clients in administrative proceedings, usually in connection with mergers and acquisitions, and he provides Delaware general corporation law advice with respect to transactional matters. Anheuser-Busch Companies, Inc. in litigation arising out of the acquisition by Belgian-based InBev N.V./S.A. 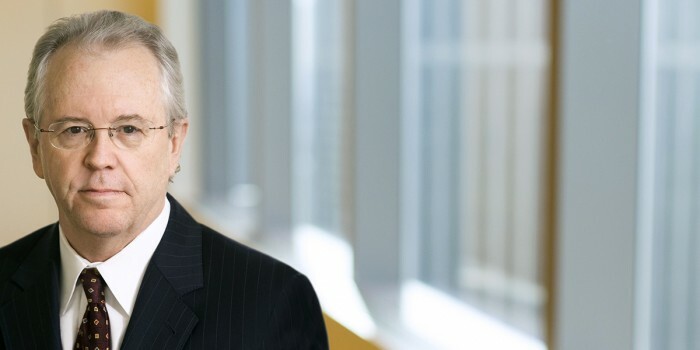 The distinguished Sager Speaker Series is named for Thomas Sager (JD ’76), former vice president and general counsel for Dupont Co., and current partner at Ballard Spahr LLP. The Sager Series is a part of the Business Law Program, which is a student-centered program designed to expand student opportunities that strengthen knowledge of business law concepts as well as develop skills to assist professional development and readiness for practice. Professor Omari Simmons is the director of the program.